Cartoon vector graphics of a cute character. 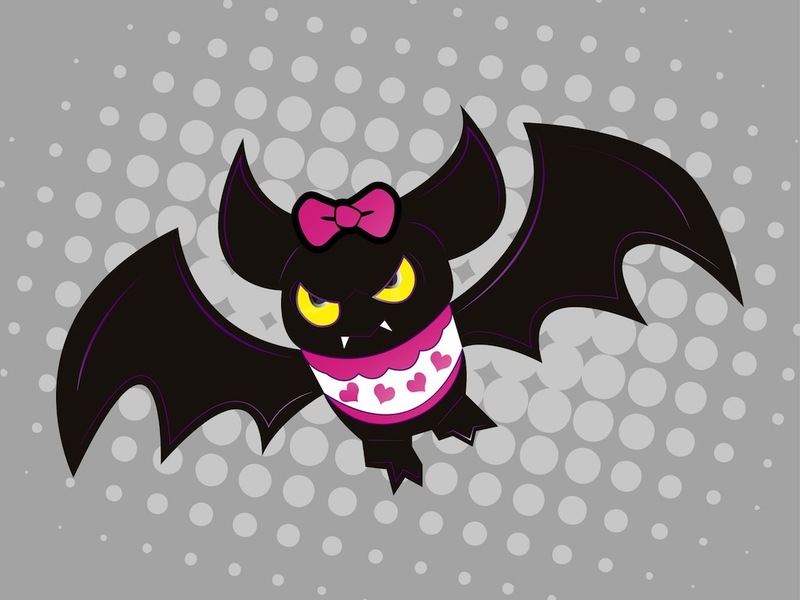 Female bat with cute accessories and angry look on the face. Big bow between the large ears of the animal, shirt decorated with hearts and wide spread wings. Free vector illustration for all your Halloween greeting cards, clothing prints and brand mascots projects. Tags: Bat Cartoon, Bow, Character, Female, Girl, Halloween, Hearts, Mascot, Pink.